Buying your first bike can be a bit daunting. There's so much to consider and when you don't know all the jargon - you tend to buy with your eyes or be led down a recommendation by the person in the shop. You can read my buyers guide here. 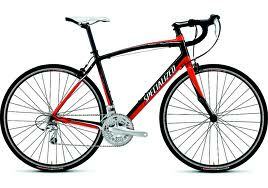 The Specialized Secteur Sport is a very popular bike for first time riders. It's widely distributed and stocked, under £1000 and from a very popular brand. So, should you consider it? First thing to say is that this bike will be very comfortable to ride. Trust me. It has a long front headtube (the bit where the front forks go through) and this means the riding position, is quite upright when compared to other bikes. When you're embaring on your new cycling career, you'll appreciate that fact and it will come into it's own as you ride longer distances. The geometry (shape) of the bike is lifted from one of their successful pro-bikes which was designed to withstand the rigours of one of the classic one-day races called Paris-Roubaix. The forks have something called "Zertz inserts" which help absorb the bumps. Spec wise, the bike accomodates a new rider. Normally when buying a new bike, the main things you'd look for is the groupset and wheels. The Specialized Secteur Sport comes with Shimano Sora STi levels and front derailleur, which mean you change down with your thumb and up with a level push. 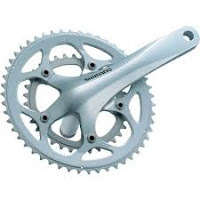 They are the entry level components from Shimano and OK for a first bike, however if spending a bit more money you'd look for these to be Shimano Tiagra or 105. It runs a triple front chainset, which means you have three rings up front. This will give you a wide range of gears (27) when starting out, particularly for going up hills. Wheels are Mavic CXP-22, which have been upgraded vs. the previous 2010 model, which ran basic Alex rims. The Mavic wheels are better. Standard tyres that come with the bike are 700x25C. You might consider changing these for 700x23C tyres at some point. You'll feel the difference. I'd recommend Continental GP4000 tyres. Pedal wise it comes with a basic set of pedals. Buy some clips and cleats, don't stop with the standard pedals. 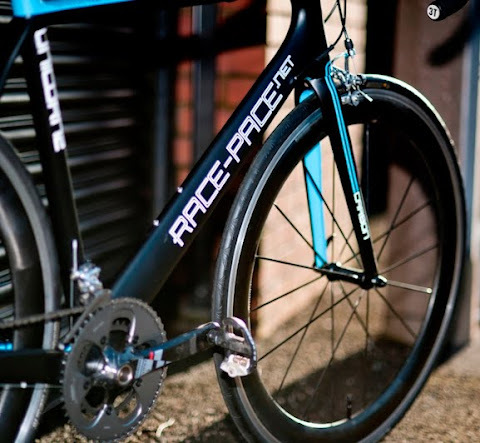 You'll get some starter pedals and half-decent shoes for about £100.00 or less. I ride Look pedals and cleats and recommend Specialized shoes for new riders, particularly if you've got wide feet. Brake blocks are an easily overlooked part of the bike to a newcomer. Invest forty quid or so in some decent brake pads, the standard ones that come on the bike aren't that good. You'll see a noticeable difference in your stop speeds in dry and wet conditions. I recommend Swiss Stop Green. Perhaps ask your dealer to do this before you pick the bike up. Overall, I think the Specialized Secteur Sport 2011 is one of the best bikes out there for a new rider, primarily due to its' frame geometry, you'll spend lots of comfortable days in the saddle. Ony drawback for me is the black/red paint job, which I think you'll either love or hate. Previous model was white, which made it more neutral. The closest competitor is the Trek 1.2 Triple. There is one major diference between the Specialized Secteur Sport and this bike, the rear cassette range. The Specialized runs a 12-25 cassette, the Trek an 11-36. Combined with the triple cassette up front, the Trek's gears give you more range for hill climbing. So, if you want it nice and easy, this give you more range. I also rate Bontrager parts. They are Trek's own and the wheels particularly are well known for being good. Personally, I prefer the look of this bike to the Specialized. Around £749.99. If you want something which you don't want to see as much on the road when compared to Specialized and Trek . 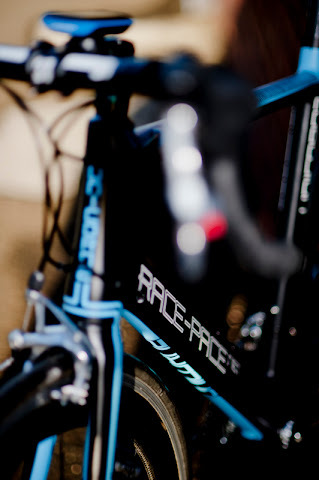 Consider the Cannondale Synapse Sora 2011. Nice looking bike. Cannondale have a great reputation as a road bike brand. You can pick this up for around £699.99. In summary, I think the choice looks like this. If comfort is your number one consideration, the Specialized should be top of your list. If gear range and spec is top of your list, look at the Trek first. If looks and value for money is top of your list, consider the Cannondale. All the bikes should be on your consideration list. I'd take a look at each of them in the flesh and then decide which one you like the look of best. 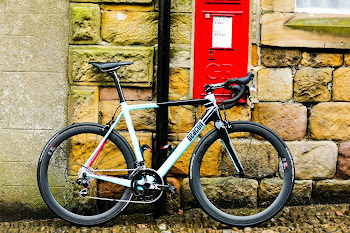 Don't worry about bike weight at this stage of your cycling career, comfort and looks are what really matter to motivate you to get out on your new bike.